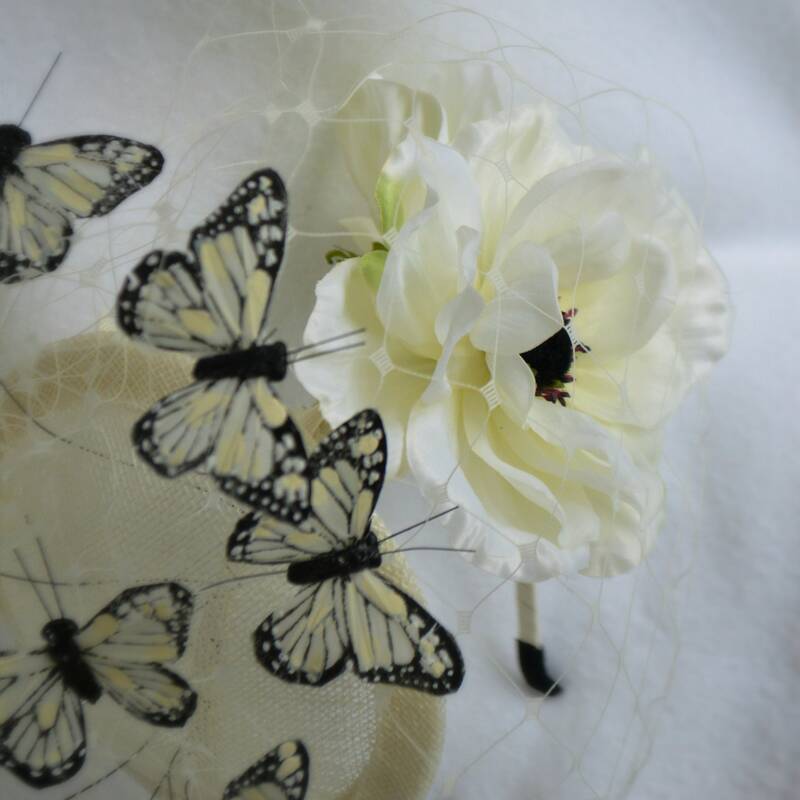 This is such a stunning headpiece, cream and white color feather butterflies dance around your head along with creamy poppies. 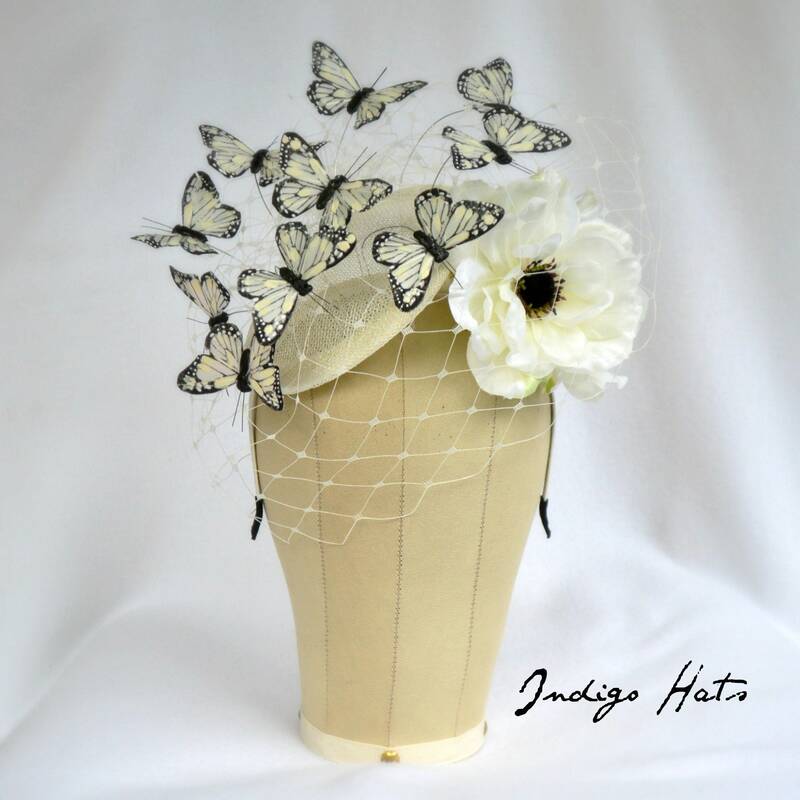 Its all set around a handmade 6" ivory sinamay fascinator adorned with vintage look ivory veiling. Yet another delightful confection of a creation from Jaine. 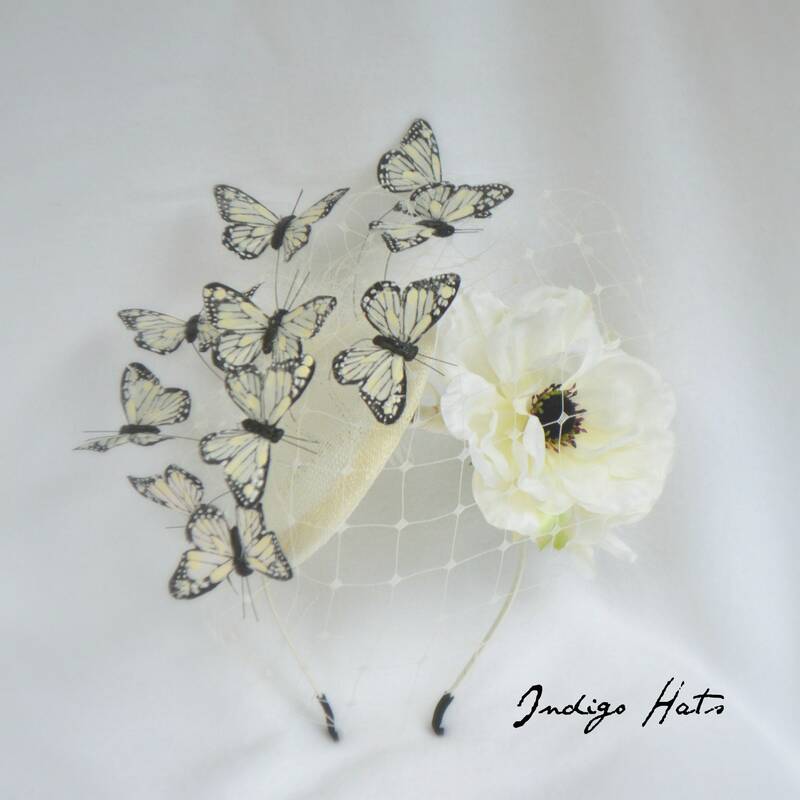 Her fascinators are simply stunning and so beautifully made. 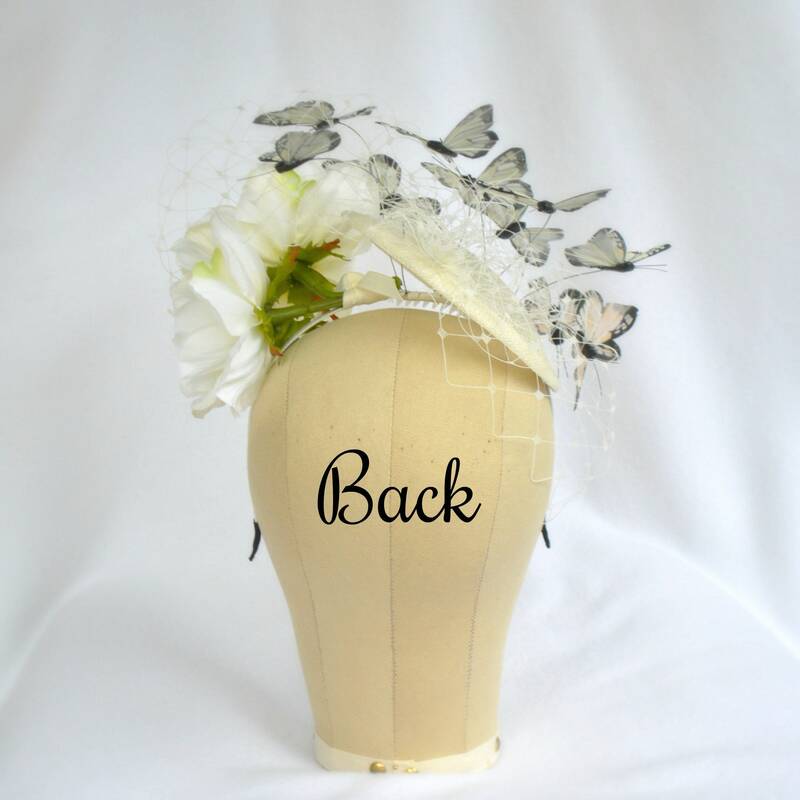 Look no further, when searching for an elegantly eye-catching piece of headwear.